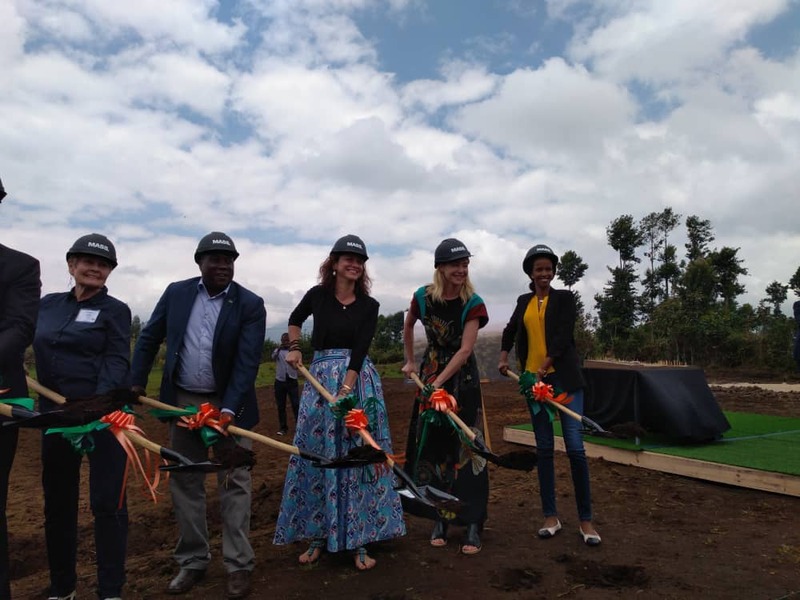 Tourism officials have witnessed groundbreaking ceremony for the multi-million dollar Ellen DeGeneres Campus of the Dian Fossey Gorilla Fund in Kinigi, Musanze District in Northern Rwanda. The facility will consist of a new science and education campus on a parcel of five hectares in Kinigi Sector – home to to rare mountain gorillas. It aims to support the Dian Fossey Gorilla Fund International’s on-going conservation and education work in Rwanda. Construction activities are estimated to take two years and will create at least 1,500 jobs and $2 million will be spent on local labor. In addition, an estimated $2.5 million will be spent on locally sourced materials, according to Rwanda Development Board(RDB). “The success of this strategy has been proved by the fact that both gorilla numbers and gorilla tourism receipts have increased,” said Belise Kaliza, the Chief Tourim Officer at RDB. The 2016 gorilla census in the Virunga Massif revealed a 26% increase in the number of individual gorillas from 480 to 604 in a span of five years. In 2017, Volcanoes National Park received more than 35,000 visitors who directly generated $16.75 million. “Gorilla conservation and tourism has not only benefited hoteliers, tour operators, guides as well as the entire economy overall; but it has played a significant role in bettering the lives of the communities living adjacent to the Volcanoes National Park,” Kaliza said. Kaliza further said that the campus is not only evidence of Rwanda’s conservation credentials; it is also proof that this country is a great investment destination. Since 2005, the Government of Rwanda instituted the Revenue Sharing Program where 10% of all parks revenues are invested back into the community; resulting in 647 community-based projects nationally with an estimated value of over $6 million. The program has provided housing, schools, health clinics and clean water for communities living in the 4 Districts surrounding Volcanoes National Park. Ellen DeGeneres – American TV personality announced his gorilla conservation project while in Rwanda in May 2018. The following month, Kagame hailed the project. He said he was impressed the gorilla population has significantly grown in the last eight years. “Encouraging to see the mountain gorilla population in the Virungas has grown 25% in the last eight years. Conservation efforts must continue. Thank you @TheEllenShow & Portia for coming to Rwanda & getting involved,” Kagame tweeted.